Ford Motor Company announced plans to market a pure battery electric-powered light commercial vehicle in North America, based on the all-new Transit Connect global commercial vehicle platform. 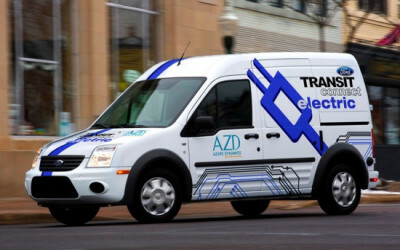 "The new Transit Connect light commercial vehicle with battery electric power represents the next logical step in our pursuit of even greater fuel economy and sustainability," said Derrick Kuzak, Ford's group vice president of Global Product Development. "A growing number of our commercial vehicle fleet clients have expressed interest in electrification as a sustainable mobility solution. By leveraging our global team and asset portfolio, we're able to quickly bring this environmentally friendly, strong ‘silent type' to market." The use of a global commercial vehicle platform showcases Ford's ability to deliver products with worldwide marketing opportunities. Powering this electrification drive is the company's "One Ford" global product vision. Ford is working with Smith Electric Vehicles, the European market's leading battery electric upfitter of commercial vehicles, which is part of the U.K.-based Tanfield Group of companies. Since 1920, Smith has converted tens of thousands of vehicles to battery electric power. 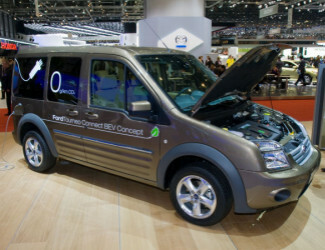 In the U.K. and select European markets, Smith already offers battery electric versions of the Ford Transit Connect and also the Ford Transit Connect medium commercial vehicle to fleet customers.